Lately I have been incorporating barley into my salads. It has been cited as one of the world’s healthiest foods being a very good source of molybdenum, manganese, dietary fiber, and selenium, and a good source of copper, vitamin B1, chromium, phosphorus, magnesium, and niacin. 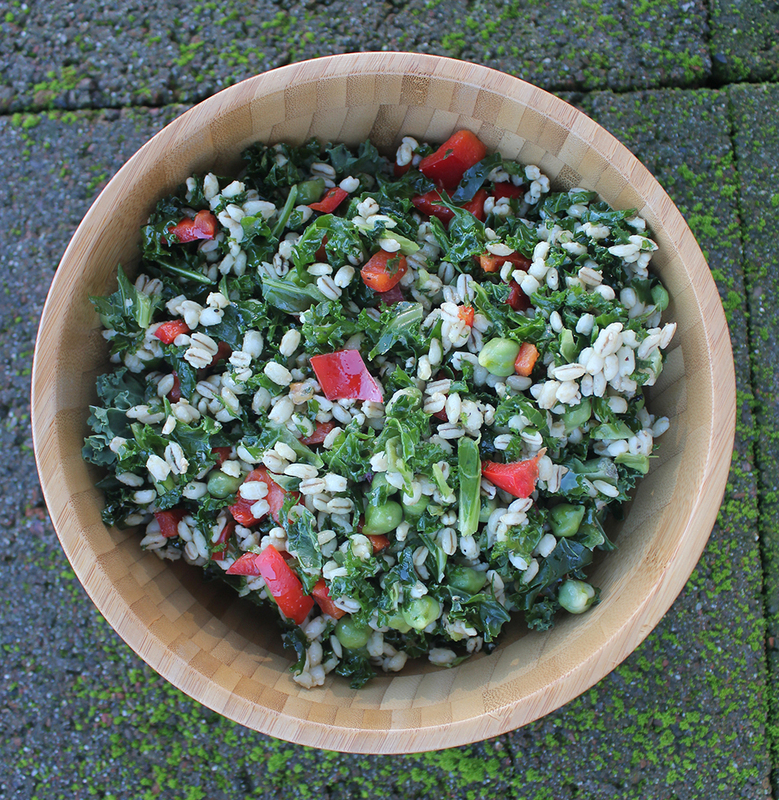 Here is one of my favorite salads that is so simple yet good for you! Enjoy! Ingredients: a cup of barley, 2 heaping handfulls of kale, 1/2 cup of chickpeas, chopped red bell peppers, a sprinkle of salt, pepper, and oil.